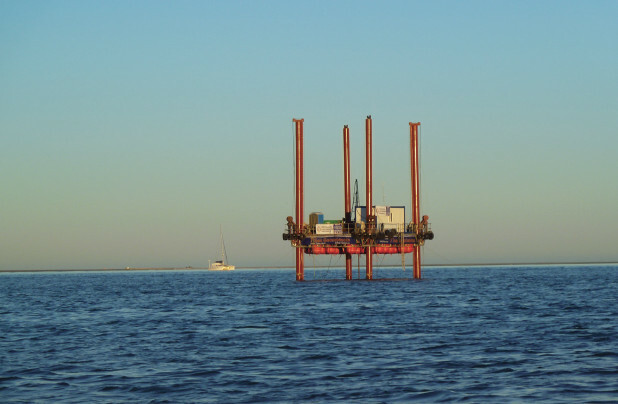 In Situ Site Investigation has a wealth of experience of using CPTs in the Marine environment; testing in both near shore (less than 40m water depth) and offshore environments (greater than 40m water depth). 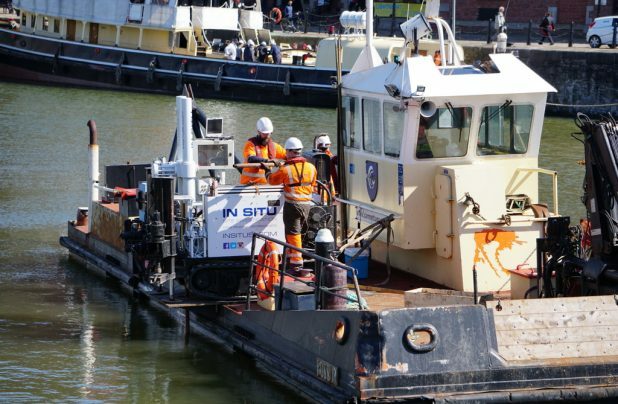 In Situ have experience on floating pontoons, jack up barges, nearshore multi-cat survey vessels and the much larger offshore DP vessels; working in many different environments, which range from rivers and lakes to seas and oceans. Projects have included port extensions in the Middle East and Southern Africa to wind farm and HVDC cable projects in the North Sea, Baltic Sea and Irish Sea. Investigations have also been undertaken using specialist seabed systems deployed from vessels and using downhole systems from drill ships. 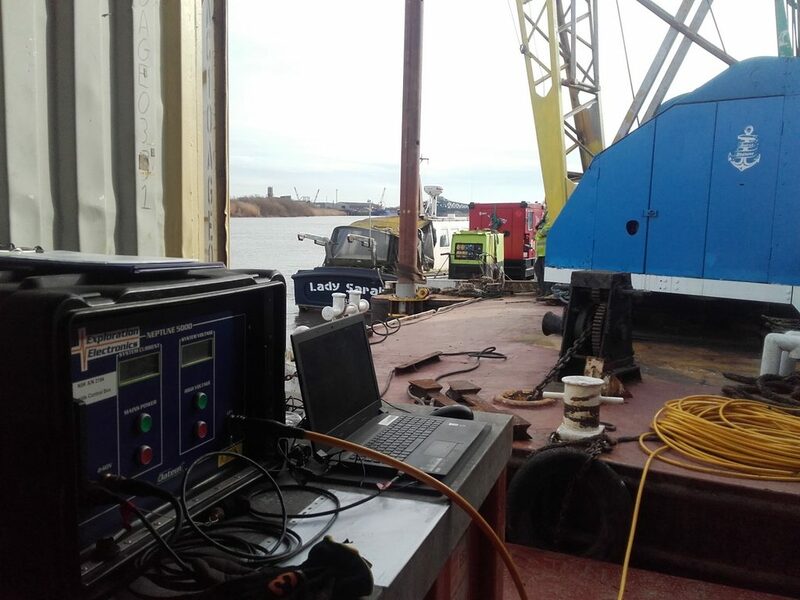 In Situ SI have recently carried out several nearshore overwater seabed cone penetration testing contracts. Utilising the 4.5 tonne capacity off shore Neptune 5000 Marine Seabed CPT Unit utilising a bespoke 20m digital cone coiled push rod system. The seabed unit is easily transported by road to site and is lifted directly from a quayside onto an awaiting survey vessel. The seabed units provide very a rapid deployment method allowing multiple CPT tests to be undertaken within a very short period of time. Each test can also be undertaken without the requirement to deploy a static marine platform or pontoon for shallow water and nearshore investigations. At each required test location the CPT unit is lowered down to the seabed or riverbed from the deck of the survey vessel using the onboard mounted the vessel crane, hi-ab or deck winch, additional line is then paid out allowing the vessel to hold position without moving the CPT unit while each test push is completed. Measured digital data from the cone is transferred through a control umbilical cable to the top side system control cabin on the vessel deck, allowing real time observation of the ongoing test parameters. Each test takes approximately 20 minutes to complete then the unit can be safely recovered to the vessel deck, ready to move onto the next test location. 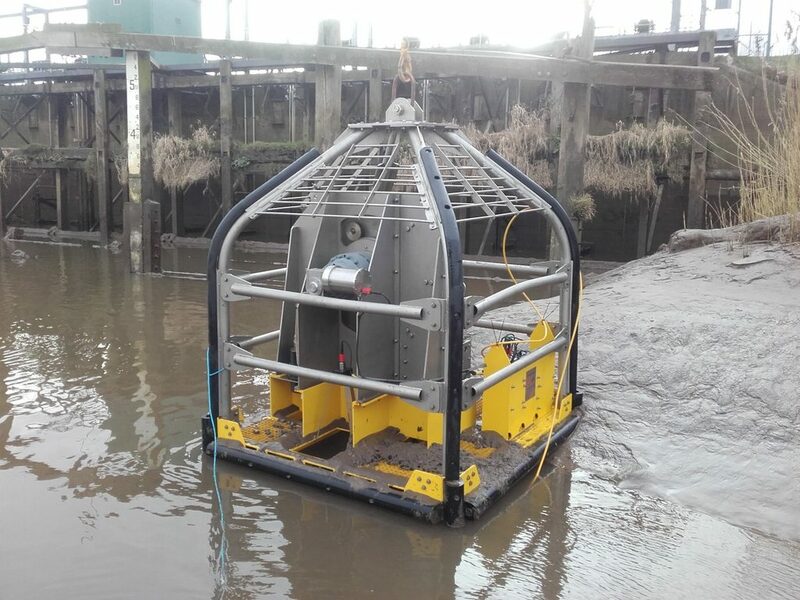 Please click here to read a case study using the Neptune 5000 CPT seabed unit on a riverbed in Lincolnshire.